This study aims to identify factors that predict reading literacy achievement among Grade 4 learners in South Africa by utilising aspects of Carroll's model of school learning. The study draws on the preProgress in International Reading Literacy Study (prePIRLS) 2011 data, which places South African Grade 4 learners' results substantially below the international centre point of 500 at 461 (SE = 3.7). Selected items from the prePIRLS 2011 learner, parent and teacher questionnaires were used in a two-level model to determine the effect of learner aptitude, opportunity to learn and quality of instructional events on reading literacy achievement. The results point to the statistical significance of engaged reading and cultivating motivation for reading among learners from an early age, specifically through parental involvement in introducing early literacy activities as foundation of reading literacy by school-going age. Other results provide evidence for the importance of the value of reading across the curriculum not confined to formal reading lessons only. The teaching of reading comprehension skills and strategies is identified as a significant predictor of reading literacy achievement, instruction of which should form an integral part of teaching reading in the classroom. Keywords: Carroll's model of School Learning, contextual factors, prePIRLS 2011, reading literacy achievement. ...the ability to understand and use those written language forms required by society and [or] valued by the individual. Young readers can construct meaning from a variety of texts. They read to learn, to participate in communities of readers and for enjoyment (Mullis, Martin, Kennedy, Trong & Sainsbury, 2009:11). With this definition, as it applies to prePIRLS 2011 (Mullis et al., 2009:11) reading literacy is regarded as a constructive and interactive process. According to Binkley and Kelly (2003), the reader is regarded as actively constructing meaning and as knowing and applying effective reading strategies. Such readers have positive attitudes towards reading and read for the purposes of information acquisition as well as recreation. Meaning is constructed in the interaction between reader and text, in the context of a particular reading experience. Reading implies that readers bring with them and apply a repertoire of knowledge, skills, cognitive and metacognitive strategies during reading. The current study aims to identify factors that are associated with learner achievement in order to ensure that transformational goals facilitate the move beyond policy status to those being achieved at both learner- and school levels. The study is reported against a background of a South African national education system that has been characterised over the last decade by transformation at various levels. At the curricular-level, change was aimed at transforming a system that predominantly consisted of mere transmission of information to a system that supports constructivist paradigms of teaching and learning (Rambuda & Fraser, 2004). In moving to such a system, the traditional pedagogical style of rote learning needed to be transformed to that of a learner-centred style that prepares all learners as democratic citizens, able to compete in an increasing competitive global economy. Some of the elements of the conceptual framework against which transformation was to take place as described by Beets and Van Louw (2005) include learning as an active process of sense making, learning as socially and culturally determined activity and classroom expectations and social norms that should foster the development of important dispositions, such as learners' willingness and persistence in solving problems. Similarly, changes to assessment now include assessment as an on-going, integral part of the learning process, which is appropriately aimed at the knowledge, skills or attitudes to be assessed (Beets & Van Louw, 2005). The aim of assessment as agent of transformation is not only as instrument against which progression is measured, but rather serves as evidence for progress in achieving outcomes to identify areas for learner support or further intervention. Factors at learner, classroom and school level that affect reading literacy achievement have been the topic of many research studies. Nationally, the work of Mji and Makgato (2006) and Maree, Aldous, Hattingh, Swanepoel and Van der Linde (2006) among others, have focused on factors that affect learner performance in Science and Mathematics. Internationally, Scheerens and Bosker (1997) investigated factors that contribute to educational effectiveness, while secondary analyses of large scale, international comparative studies (Netten, Droop & Ver-hoeven, 2011, Van Staden, 2010, Wallner-Paschon, 2009, Geske & Ozola, 2008a, Van Petegem, Creemers, Aelterman & Rosseel, 2008, Bos, Schwippert & Stubbe, 2007; Gonzalez-DeHass, Willems & Holbein, 2005) have utilised a variety of predictors and theoretical frameworks in attempts to isolate those factors that are best capable of predicting reading literacy achievement, specifically among primary school learners. For purposes of this study, selected factors from Grade 4 learners, their home and classroom environments are applied as predictors of reading literacy achievement. Factors related to learner reading achievement are centred on reading motivation and reading-related self-perception. For children who experience initial or continued success or difficulty in reading, relationships between reading achievement and self-perception (referring to those perceptions, values, knowledge, and beliefs individuals have about themselves as learners) arise within the first year of schooling. This timing means that the learner's self-perception forms in response to emerging patterns of accomplishment or difficulty with learning tasks (Chapman & Tunmer, 2003); so, for example, learners with a low sense of efficacy for completing reading tasks tend to give up more easily, engage in off-task activities or avoid the task altogether. Resonant with research that associates learnerrelated factors with low achievement is the work of Wallner-Paschon (2009), who refers to the process of 'reading socialization'. Important fields of socialisation for the learner are the school, family and peer group, all of which in turn affect the learner's motivational characteristics, such as reading attitude and reading self-concept, as well as reading achievement. Gambrell, Palmer, Codling and Mazzoni (1996) refer to the work of inter alia Veenman (1984), who reported that teachers ranked motivating learners to read and creating interest in reading as amongst their primary and overriding concerns. Turner (1995) refers to motivation and cognitive engagement interchangeably as voluntary uses of high-level, self-regulated strategies, such as planning, paying attention, connecting ideas, judging and monitoring. Motivation is crucial to reading at any level and beliefs about reading have an important relation to understanding and engagement during reading. Schraw and Bruning (2000) state that positive beliefs about reading translate into higher levels of motivation and better understanding of what is read. This in turn is a positive consequence of cognitive engagement (Turner, 1995). Literacy can be viewed as a cultural practice and young children begin to learn about reading and writing initially in their homes. It is apparent that the home environment affects children's literacy and the difference between parents of good readers and those of poorer readers has been noted in the literature as associated with literacy levels achieved in a common age grade. Martin, Mullis and Gonzalez (2004) report that for every country participating in the Progress in International Reading Literacy Study (PIRLS) of 2001, a strong relationship was found between Grade 4 reading achievement and parents' reports of levels of engagement in literacy activities before their children started school. South African learners generally perform poorly in international comparative assessment studies such as PIRLS, the Trends in International Maths and Science Study (TIMSS) and the Southern and Eastern African Consortium for the Monitoring of Educational Quality (SACMEQ). Howie (2003) reports a number of factors specifically related to learners' poor performance in South African classrooms in Mathematics specifically, but also in general. These factors include inadequate subject knowledge of teachers, inadequate communication ability between learners and teachers in the Language of Learning and Teaching (LOLT), lack of instructional materials, difficulties for teachers to manage classroom activities effectively, pressure to complete examination driven syllabi, heavy teaching loads, overcrowded classrooms, poor communication between policy makers and practitioners and lack of support due to shortage of professional staff in the ministry of education. Such findings are reflected in the work of Passos (2009), who carried out a comparative analysis of teacher competence and its effect on Grade 6 learner performance in upper primary schools in Mozambique and other SACMEQ countries. According to Passos (2009), the relationship between teacher competence and learner performance in reading and mathematics is influenced by cognitive, affective and behavioural factors. Sailors, Hoffman and Matthee (2007), in their evaluation of schools that promote literacy learning in low-income communities, summarise the work of a number of researchers, such as Weber (1971) and Hoffman and Rutherford (1984), who identified common themes across effective schools that could guide reform efforts in the failing schools operating in resource-poor environments. The common themes in these schools that influenced learner achievement positively included among others effective instructional leadership and practices, high expectations for learners to achieve and perform at their best, ongoing curriculum improvement, maximum use of available instructional time and frequent monitoring of learner progress. 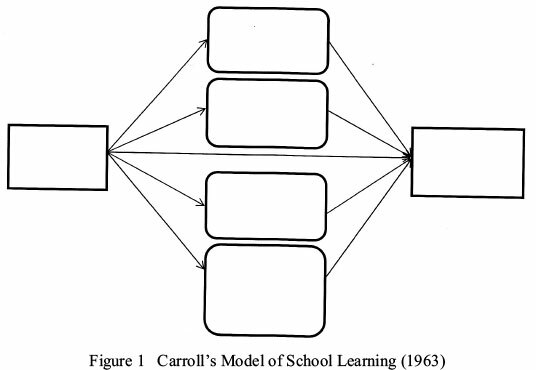 For purposes of this study, Carroll's Model of School Learning (1963) is used as a well-established and critically reviewed model specifically in studies of educational effectiveness. The model explains variations in school learning with reference to five classes of variables, three of which relate to time (aptitude opportunity to learn and perseverance), with the remaining two related to achievement (quality of instruction and ability to understand instruction) (Carroll, 1989). In his original work, Carroll (1963) states that the degree of learning is a function of the learner's motivation to learn, aptitude, ability to learn and quality of instructional events. Carroll relates motivation and availability of resources to a broader category called "time spent in learning", while aptitude, ability to learn and quality of instructional events resorts under a category he refers to "time needed to learn" (Carroll, 1989:27). The time needed to learn is increased when quality of instruction and ability to understand is less than optimal (Carroll, 1989). The structure of Carroll's model (1963) is represented in Figure 1. Carroll's model explains why learners perform differently in handling a given task (Creemers & Kyriakides, 2006) attempting to explain the role of the time variable and its relationship to learning rate and achievement. As a time based model, Carroll (1963) describes aptitude as the capability to reach desirable levels of academic achievement provided that there is enough time, while opportunity to learn is defined as the amount of time available for learning within a school curriculum (Berliner, 1990). Opportunity to learn is also turned into an instructional time concept, where school learning is seen as deliberate attempts to teach or the duration of time allocated for instruction (Berliner, 1990). 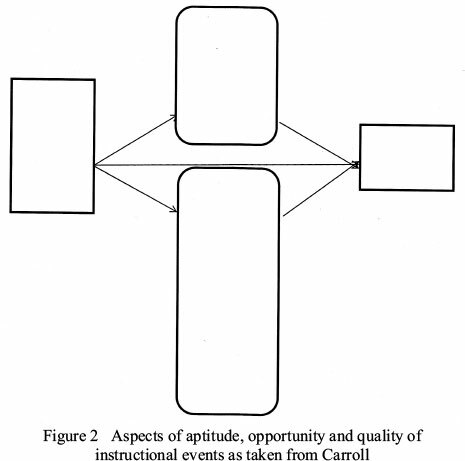 Figure 2 illustrates how aspects of Carroll's model (1963) are utilised in the current study. With the absence of proxy measures in the prePIRLS 2011 data for perseverance (or the time a learner is willing to spend on learning), the current study's focus is on factors of aptitude, opportunity to learn and quality of instructional events as predictors of reading literacy achievement in particular. This study is a secondary analysis of the prePIRLS 2011 South African Grade 4 data. The main research question is: Which factors from Carroll's Model of School Learning (1963) can be associated with South African Grade 4 learner performance in reading literacy? 1. Which learner aptitude factors affect performance in reading literacy in the overall South African model as measured by parental reports of what learners could do before Grade 1, learners' motivation to read and learner engagement in reading? 2. To what extent does the opportunity to read (as measured by teacher reports of time spent on reading instruction in the language class as well as across the curriculum) affect reading literacy performance of Grade 4 learners? 3. What is the effect of the quality of instructional events on Grade 4 learner reading achievement as indicated by learner responses to aspects of the reading lesson, types of reading activities undertaken by teachers, strategies they use to develop reading skills and activities they undertake after reading lessons? PrePIRLS 2011 is an international comparative assessment of reading literacy conducted with Grade 4 children. Run under the auspices of the International Association for the Evaluation of Educational Achievement (IEA), prePIRLS 2011 offers developing countries the opportunity to test reading literacy at an easier level than PIRLS while utilising the same conception of reading literacy. A nationally representative sample of 15,744 Grade 4 learners from 342 schools participated in the prePIRLS 2011 study in South Africa. The sample consisted of 7,548 girls and 8,196 boys. Learners were assessed across all 11 official languages and were assessed in the LoLT to which they were exposed in Foundation Phase. This means that learners were not necessarily tested in their home language, but rather in the language they were exposed to at school. The stratification by language resulted in the assessment of 1,463 Afrikaans learners, 2,205 English learners, 1,393 isiNdebele learners, 1,090 isiXhosa learners, 1,209 isiZulu learners, 1,099 Sepedi learners, 1,431 Sesotho learners, 1,293 Setswana learners, 2,186 siSwati learners, 1,187 Tshivenda learners and 1,188 Xitsonga learners. The prePIRLS 2011 assessment consisted of a reading literacy test in the form of two types of texts, namely reading for literary experience (or literary texts) and reading to acquire and use information (or informational texts). Reading texts were followed by a range of multiple choice questions and open response questions to a maximum of three points. All questions corresponded to any one of the four types of reading comprehension process, namely (1) focus on and retrieve explicitly stated information, (2) making straightforward inferences, (3) interpret and integrate ideas and information and (4) examine and evaluate content, language and textual elements. Reporting of reading achievement results in prePIRLS 2011 are presented in terms of achievement above or below the fixed international centre point of 500 through the use of five overall Plausible Values as derived from Item Response analyses. Grade 4 learners, their parents, teachers of the Grade 4 learners and school principals responded to contextual background questionnaires that addressed a wide range of topics on aspects such as reading behaviour, attitudes, teaching reading and school organisation. Learner and parent questionnaires were administered in all 11 official languages to suit the language preference of learners and parents optimally, while teachers and school questionnaires were administered in English. A number of variables were selected from the prePIRLS 2011 learner, parent and teacher questionnaires. Scales were created from these variables to form factors to test the selected aspects of Carroll's model (1963). Aptitude: The aptitude scale was constructed from items from the learner and parent questionnaires. With regard to reading motivation, learners responded to the following statements (variables ASBR09A-Fthat form the 'Students motivated to read' scale in the international database called ASBGSMR)::I like to read things that make me think, it is important to be a good reader, my parents like it when I read, I learn a lot from reading, I need to read well for my future, and I like it when a book helps me imagine other worlds. Learner engagement was captured by responses to statements like I like what I read about in school, my teacher gives me interesting things to read, I know what my teacher expects me to do, I think of things not related to the lesson, my teacher is easy to understand, I am interested in what my teacher says, and my teacher gives me interesting things to do (variables ASBR05A-G that form the 'Students engaged in reading lessons' scale in the international database called ASBGERL). All the variables were measured on a Likert scale with options varying from Agree a lot, Agree a little, Disagree a little and Disagree a lot. Parental responses to learner aptitude included responses to statements of what their child could do when they started Grade 1 and included aspects such as recognising most letters of the alphabet, reading some words, reading sentences, writing letters of the alphabet and writing some words (variables ASBH06A-E). Parental responses to these items were indicated as Very well, Moderately well, Not very well and Not at all. Opportunity: Measures of opportunity was construed as time spent by the teacher on reading and reading instruction. Variables taken from the prePIRLS 2011 teacher questionnaire therefore included questions to teachers about the reported formally scheduled reading time spent in hours in the language class only (variable ATBR02A) and across the curriculum (variable ATBR02B). as well as making predictions and generalisations about text and forming own opinions (variables ATBR09A-I). Lastly, quality of instructional events comprised teacher responses to reports of activities undertaken with learners after reading was complete (variables ATBR10A-D) and included writing something about what was read, answering oral questions, talking amongst themselves about what was read, and taking a quiz or test about what was read. Variables from the teacher questionnaire were measured on a Likert scale with options varying from Every day or almost every day, Once or twice a week, Once or twice a month and Never or almost never. Background data are available for 15,744 Grade 4 learners, 416 teachers of Grade 4 learners and 15,744 parents of Grade 4 learners. For purposes of generating descriptive statistics for the variables used in this investigation, the International Database Analyser (IDB) was used. The IDB Analyser is a plug-in for the Statistical Package for the Social Sciences (SPSS) and was developed by the IEA's Data Processing and Research Centre. It was developed specifically to combine and analyse data from large scale data sets such as those designed for PIRLS and prePIRLS. In order for multi-level analysis to be conducted, scales were constructed from the selected variables using SPSS software. For purposes of scale construction, issues of reliability were addressed by means of Cronbach's Alpha. Principal component analysis was used to confirm the underlying structure of scales. The construction of scales was followed by multi-level analysis using MLwiN software (Rasbash, Steele, Browne & Goldstein, 2009) to test for significant effects of aspects of aptitude, opportunity and quality of instructional events on reading literacy achievement. It has to be kept in mind that data preparation issues were dealt with and remains in the background. While reliability coefficients are reported, detailed results of the scale construction as evidenced by principal component analysis are omitted from the discussion of results. The intention of the manuscript was never to provide a technically detailed account of procedures followed, but rather to focus the attention on multi-level analyses results. A multi-level approach was followed in the data analysis, since prePIRLS 2011 data have a hierarchical structure, where learners are nested in classes and classes are nested within schools. For purposes of aptitude, parental responses to what the child could do before Grade 1 were used alongside learner responses on motivation to read and engagement in reading. According to most parents of Grade 4 learners, their children were very well equipped with basic skills before they began Grade 1. More than a third of parents indicated that their children could recognise letters of the alphabet (46%, SE = 0.9), read some word (35%, SE = 0.9), read sentences (30%, SE =1.0), write letters of the alphabet (42%, SE =1.0) and write some words (34%, SE = 0.9) before they began Grade 1. Learner responses indicate that the majority of Grade 4 learners deem themselves as motivated to read (68%, SE=1.4), while 47% (SE=1.3) regarded themselves to be engaged readers. In terms of opportunity created by the teachers for reading, a majority of teachers of Grade 4 learners (29%, SE = 3.7) indicated that they spend as little as 2 hours per week on reading across the curriculum. The majority of teachers (34%, SE =3.7) indicated to have spent less than an hour per week on reading during formally scheduled time for reading instruction. Quality of instructional events was measured by learner and teacher responses to a variety of aspects related to their reading lessons. A majority of learners responded that they liked what they read in school (81%, SE = 0.9), their teachers gave them interesting things to read (67%, SE = 1.1), they knew what the teacher expected of them (66%, SE =1.0), they were able to understand the teacher (66%, SE =1.1), they were interested in what the teacher said (70%, SE = 1.1) and agreed that the teacher gave them interesting things to do (69%, SE =1.0). Only 38% (SE = 1.1) of learners admitted to thinking of other things apart from the reading lesson. In terms of everyday reading activities undertaken by the teacher, 67% (SE =3.5) of teachers responded that they read to the class, with 64% (SE =3.5) indicating that the learners read aloud daily. Very few teachers undertook activities such as silent reading (37%, SE =3.4), decoding words (35%, SE =3.4) and teaching scanning strategies (22%, SE =3.7). Daily activities undertaken by teachers to develop reading comprehension skills and strategies included locating information in text (43%, SE =3.5), identifying main ideas (50%, SE =3.7), explaining or supporting understanding of text (59%, SE =3.7) and comparing what was read with own experiences (40%, SE =3.2). More complex strategies as reported by teachers were taking place less frequently, for example making generalisations (21%, SE =3.2), determining the author's perspective (24%, SE =3.5) and making predictions about what will happen next in text (31%, SE = 3.5). Daily activities undertaken after reading lessons mostly took the form of learners answering oral questions about what they have read as reported by 57% (SE =3.3) of teachers, followed by talking about what was read (33%, SE = 3.2), writing something in response to what was read (25%, SE =2.7) and taking a written quiz or test about what was read (18%, SE = 2.9). Scale Construction for Purposes of Multi-Level Analysis Table 1 provides information on the reliability coefficients generated for each of the items to be used in the multi-level analysis. As indicated by Table 1, a selected number of items from the prePIRLS 2011 learner, teacher and parent questionnaires were chosen as possible predictors of reading outcomes in accordance with Carroll's Model of School Learning (1963). In order for multi-level models to be built, the individual questionnaire items were re-constructed into scales that corresponded to the factors measured by Carroll's model (1963). The first step in this process was to aggregate all variables with more than one response option (as selected form the prePIRLS 2011 questionnaires) to create a single composite scale per Carroll's factor. Unrotated principal component factor analysis was performed for each cluster of variables within the data scales corresponding to Carroll's model (1963) in terms of aptitude, opportunity and quality of instructional events. Table 2 shows the results of the factor analysis in terms of component scores for three factors that were extracted. Aptitude, as used in this analysis with reference to learner motivation and engagement in reading, contributed to 27% of the explained variance. Opportunity, as measured by teacher time spent on reading in the class accounted for 13% of the variance, while quality of instructional events accounted for 22% of the total variance. Multi-level analysis was used to determine the strength of evidence for the effect of the explanatory variables at learner-and school-level on reading achievement as response or dependent variable. The first overall plausible value from the prePIRLS 2011 data was used as outcome variable. Serving as predictors, statistically significant effects of the constructed scales of aptitude, opportunity and quality of instructional events on reading literacy achievement were tested. Table 3 provides a summary of results. In the current model, aptitude resulted in significant effects for all measured aspects. In the absence of aptitude, as measured by parental involvement in ensuring children have basic skills when entering Grade 1, reading literacy achievement can be expected to decrease by 14.22 (SE = 1.11) points. Learners' motivation to read increases reading literacy achievement scores by 5.37 (SE = 0.43) points, while learner engagement in reading may show an increased effect on reading achievement by 7.00 points (SE = 0.60). Opportunity to read showed significant effects for teacher reports on time spent reading during formally scheduled reading time with a predicted increase in reading literacy scores of 6.16 points (SE =1.38). Reading across the curriculum resulted in a coefficient of -0.38 (SE =0.25), which is statistically of little effect. The results from the current model should be interpreted with caution in light of a relatively low reliability coefficient for these items as indicated in Table 1. Quality of instructional events resulted in no significant effect for learners' experience of the reading lesson (3.28, SE =5.87). However, when aggregating this variable at the classroom-level, a significant effect of 227.09 (SE =48.94) is detected. While this effect could possibly indicate that teachers who are able to present their classes with interesting reading lessons and clear expectations may capitalise on reading achievement scores improving in excess of 200 points, the pooled effect of aggregating data leaves these results to be interpreted with caution. A lack of explicit reading comprehension strategy teaching by teachers decreases reading literacy achievement significantly by as much as 81.19 points (SE = 37.05). Classroom activities associated with reading instruction (as measured by teacher reports of learners reading aloud, reading silently, reading books of their own choosing and teachers modelling skimming and decoding strategies) proved to have no significant effect (37.60, SE =35.20), a finding similar to the lack of effect found for activities undertaken after reading has taken place (-4.97, SE =42.95). This study utilised the prePIRLS 2011 South African results to test aspects of Carroll's model of school learning (1963). South African learner performance remains persistently poor and below internationally set standards, as evidenced by achievement of 461 (SE =3.7) in the prePIRLS 2011 study compared to the international centre point of 500. In the light of this under-achievement, we aimed to establish statistically significant relationships with reading literacy achievement as measured by the prePIRLS 2011 study. Evidence was provided for the effect of aptitude at learner-level, and opportunity and quality of instructional events at classroom-level and their effect on reading literacy achievement scores of South African Grade 4 learners. The importance of aptitude factors, as measured by parental involvement, learner motivation and learner engagement in reading has been illustrated. The results of the current study are echoed by Geske and Ozola (2008b) who state that higher reading literacy achievement can be expected where children come from families where reading is valued, children read for their own enjoyment and where parents spend a lot of time reading to their children. A study conducted by Senechal and Young (2008) also found parental involvement to be of pivotal importance in children's reading literacy development and that larger effects could be expected when parents tutored their children using specific literacy activities. Lynch (2002) found significant relationships between parents' self-efficacy beliefs and children's reader self-perceptions. Children's self-perceptions as readers not only show positive links to reading engagement and motivation to read, but are also related to eventual academic achievement in reading. Edmunds and Bauserman (2006) contend that learner motivation to read often makes the difference between learning that is superficial and temporary and learning that is sustained, permanent and internalised. Opportunities for reading at classroom-level are best utilised when emphasis is placed on reading across the curriculum and not only during formally scheduled reading time for the duration of language lessons. The significant effect found for teachers' teaching of reading comprehension skills and strategies provides evidence that such skills are not mastered through incidental learning, but have to be taught as a very specific learning outcome. Evidence based research by Foorman and Torgesen's (2001) illustrate dramatic reductions in instances of reading failure among primary school children when instruction around issues of word recognition, phonemic awareness, construction of meaning, vocabulary, spelling and text processing are explicitly taught by classroom teachers. For learners at risk of failure, teaching of these reading components should be that much more intensive, comprehensive and supportive in small-group environments or one-on-one formats. According to Applegate and Applegate (2004), the teacher is ideally situated to create a classroom environment that promotes reading engagement and one that ultimately result in learners who enjoy reading as modelled by teachers who themselves enjoy reading. Teachers who are enthusiastic readers are more likely to engage their learners in discussion sessions and literature circles, thereby creating stimulating reading engagement opportunities. The timeous introduction of reading comprehension skills and strategies plays an important role, as evidenced by PIRLS 2006 results in South Africa. These results (Howie, Venter, Van Staden, Zimmerman, Long, Scherman & Archer, 2009) pointed to the relative late introduction of advanced reading skills and strategies (such as making generalisations, predictions and describing text styles and features) to South African learners. Reading comprehension skills and strategies should therefore not only be taught explicitly, but also be introduced at an early age, thereby providing learners with the best opportunity to successfully progress from 'learning to read' in the Foundation Phase to 'reading to learn' in the Intermediate Phase and beyond. Flowers and Flowers (2008) echo this view by stating that the development of reading interest and aptitude should start as early as possible in attempts to ensure reading proficiency by the end of Grade 3. In this regard, teachers need to bring about change in not only providing opportunities to learn, but opportunities as early as possible across the curriculum where reading is entrenched in all teaching and learning activities. In placing reading at the centre of all curricular activities, learner motivation with increased engagement from parents at home can strengthen and support greater learner achievement in reading literacy. The current model results can be discussed against transformation as a principal component that characterises educational systems globally in efforts to provide equal, quality education to all. Becker and Luthar (2002) cite evidence of the achievement gap that still pervade patterns of achievement among disadvantaged learners and others, despite concentrated efforts to improve inferior academic outcomes in countries across the globe. While aims for the South African education system's transformation is set out in many policy and curricula documents, no guarantees exist that teachers, parents or learners have implemented the changes needed to successfully implement transformational goals. If learning is still at best regarded as a rote activity, void of the social and cultural space in which it is constructed, little transformation can be claimed to have taken place at classroom level. Where international assessment results (such as prePIRLS 2011 results) remain only as grim reminders of South African learners' poor performance, assessment as integral to learning has failed, especially when assessment results should provide evidence to inform further support or intervention for learners in need. Assessment should provide indicators of those systemic factors that can be changed, adapted or used as leverage against which to ensure transformation. Failing to do so, assessment as agent of transformation, may become powerless in providing such indicators of significant factors that are at work in the home, in classrooms and in schools nationwide. In applying Carroll's model of school learning (1963) as an established theoretical framework against which to test a multi-level model for purposes of this study, factors may be identified to ensure that transformational goals facilitate the move beyond policy status to those being achieved at both learner and school levels. 1 In order to obtain reliability coefficients, items ATBR02A and ATBR02B were recoded to interval items as 1=1-5 hours, 2=6-10 hours, 3=11-15 hours, 4=16-20 hours. 2 Significance values are calculated by dividing the coefficient by the standard error to arrive at a Z test that is significant at >2 (Singer, 1998). For example -14.22/1.11=12.81 (>2), a significant effect for parental involvement in ensuring basic skills before children begin Grade 1. This indicates that the absence of parents who can ensure basic skills before Grade 1, reading achievement can be expected to decrease by 14.22 points as indicated by a negative coefficient value.